Samsung now ready to launch its smartphones in 2019 which are Galaxy M Series. The new M Series smartphones has been officially announced by the company on its twitter handle. 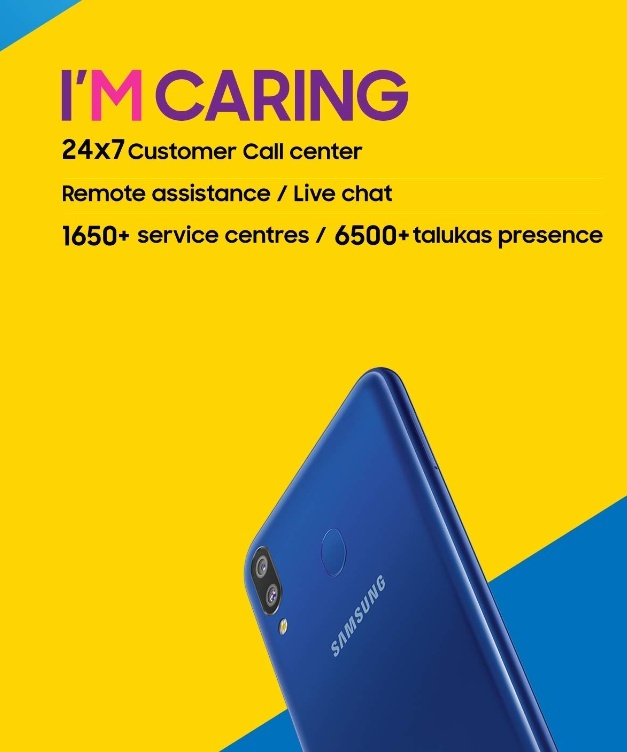 If you're looking for buying a new handset which holds latest technical features and affordable price, here is the choice. The Galaxy M Series handsets from samsung, now available for Pre Orders on amazon. 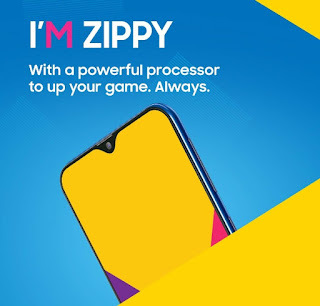 In this post I will mention the price of the Galaxy M Series Smartphones along with the features like Display, Camera, Battery, Processor, Operating System and so on. 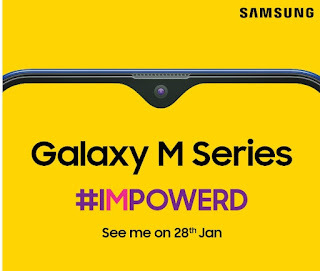 Samsung will launch three m series smartphones in India in upcoming days which are Galaxy M10, Galaxy M20 & Galaxy M30 Smartphone. For all these handsets, Pre order online registration on amazon and samsung store has been started for Online Shopping. Prices for all these Galaxy M Series smartphones has been disclosed officially on Amazon & Samsung store. Galaxy M10 and Galaxy M20 will be launched in 28th January 2018 officially on Amazon and a dedicated page for Pre Ordering of these two handsets, has been created on amazon India. 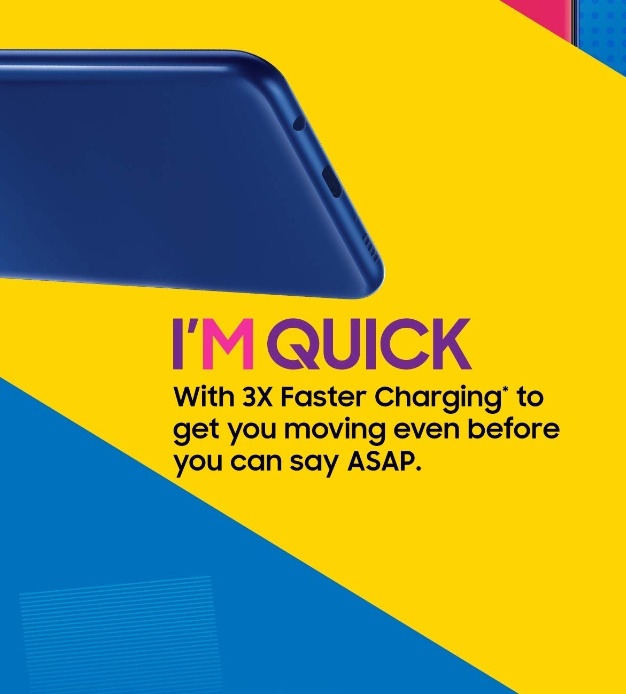 Galaxy M10 will costs Rs.7,990 & M20 Rs.10,990. Pricing details for Galaxy M30 has not yet been revealed. All these Galaxy M series smartphones coming with the water drop style notch display and samsung calls this Infinity-V display. It holds millions of colors and micro pixel size. 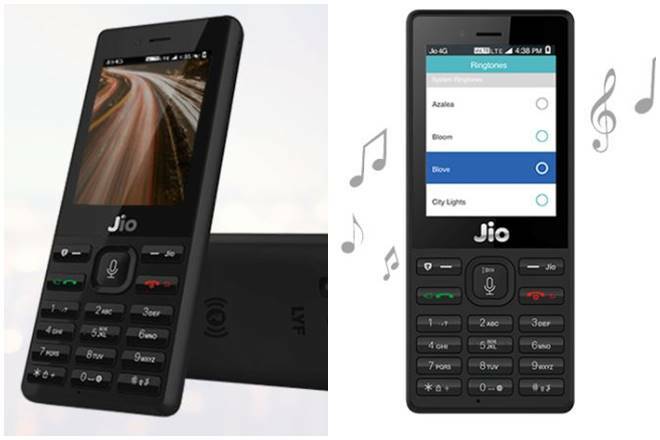 All handsets powered by android 8.1 Oreo operating system and automatic system update which means when a new system update released officially you will get notification and than you will be able to update your smartphone with latest OS. All these three variants coupled dual rear camera sensors and front selfie camera sensor along with the AI technology which means all cameras are able to take depth pictures in the field. AI technology provide you the best results of video shooting whether your hands move on, it is recorded every single moments. 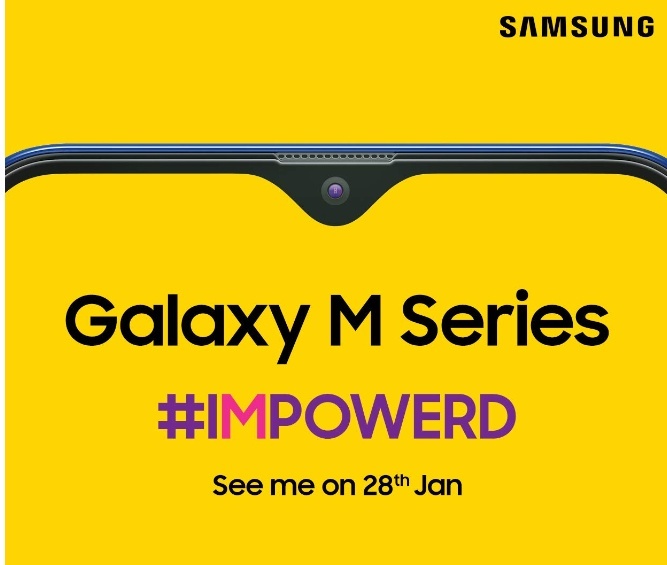 Take a look at Galaxy M20 Features and specs which is leaked on Internet. So here is all you need to know the registration procedure of this smartphone, below I going to mentioning step by step details to order these handsets on Amazon. Registration also starts on samsung india online store where you have to enter few details to get notification whenever Galaxy M Series handsets will be launched. To get Galaxy M Series launching notification you to follow some steps. 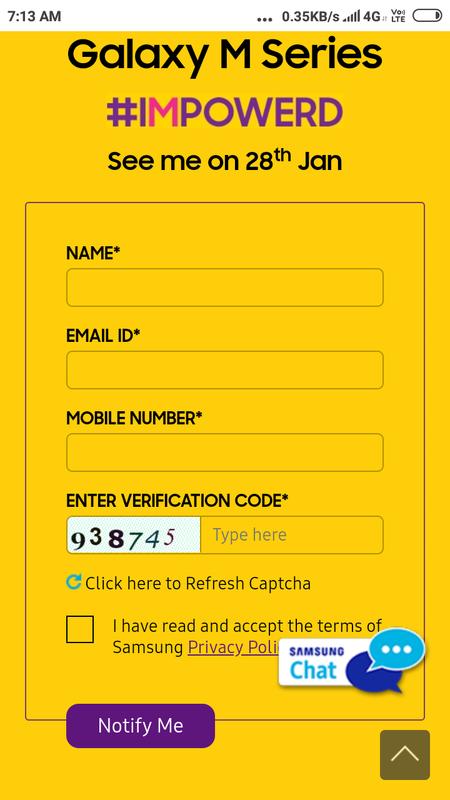 On this page you have to entered some contact details such as Name, Email ID & Mobile Number. 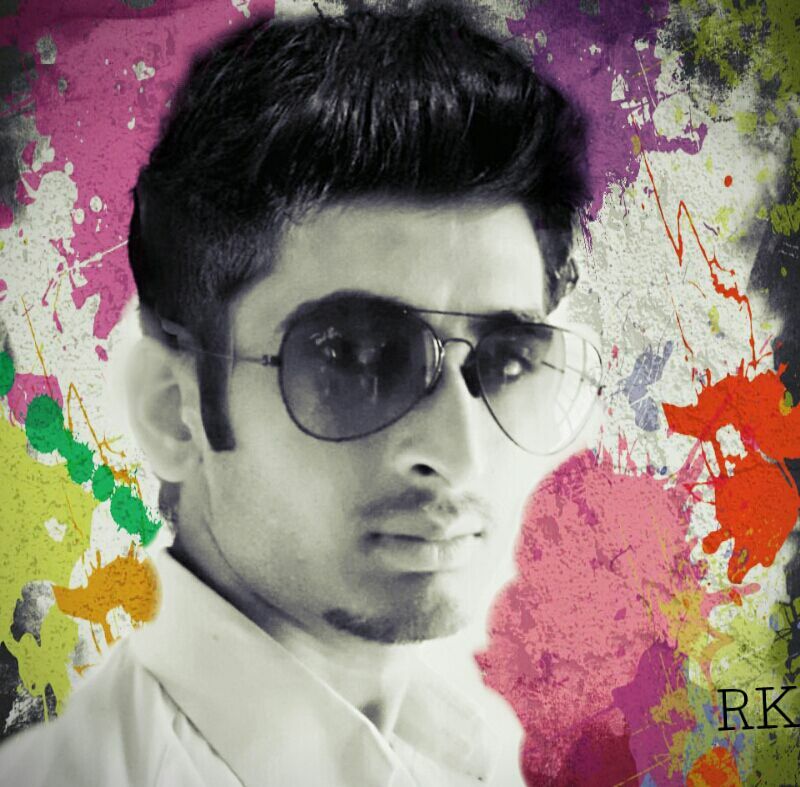 Now click on Notify Me. 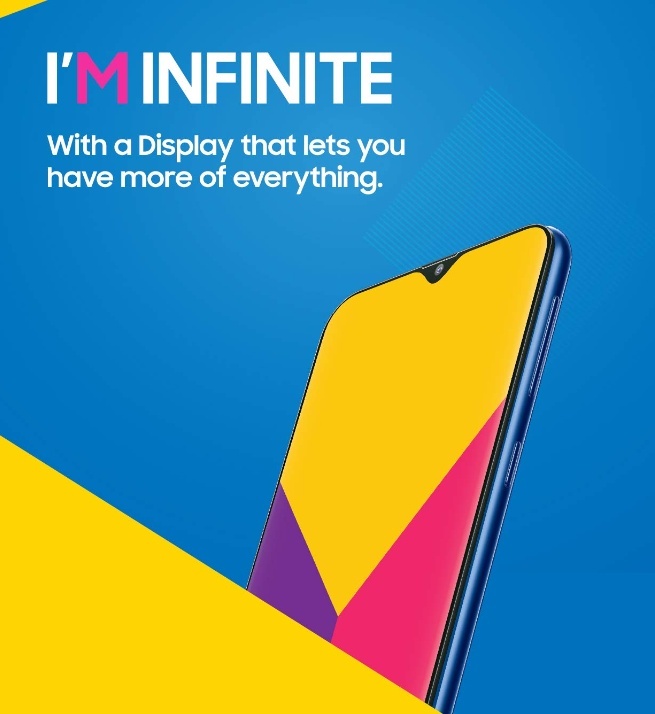 Both smartphones are different in Display size, In the Galaxy M10 holds 6.2 inch display and the another Galaxy M20 6.3 Inch long with the same display specs as water drop style notch. Both smartphones are bit different in terms of camera sensors. 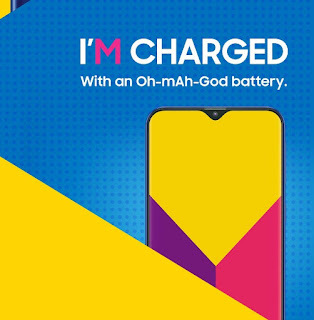 The Galaxy M10 Coupled with 13+5 megapixel rear camera sensors along with LED Flash light. 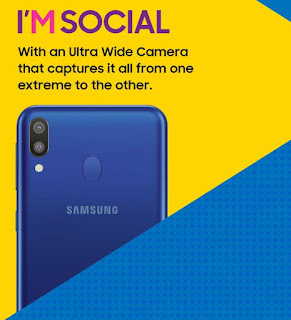 On the other hand Galaxy M20 houses 13+5 MP Back camera but front camera comes with the 8MP Sensors. So if you really like samsung holding in your hands than here are few upcoming smartphones which you can buy.